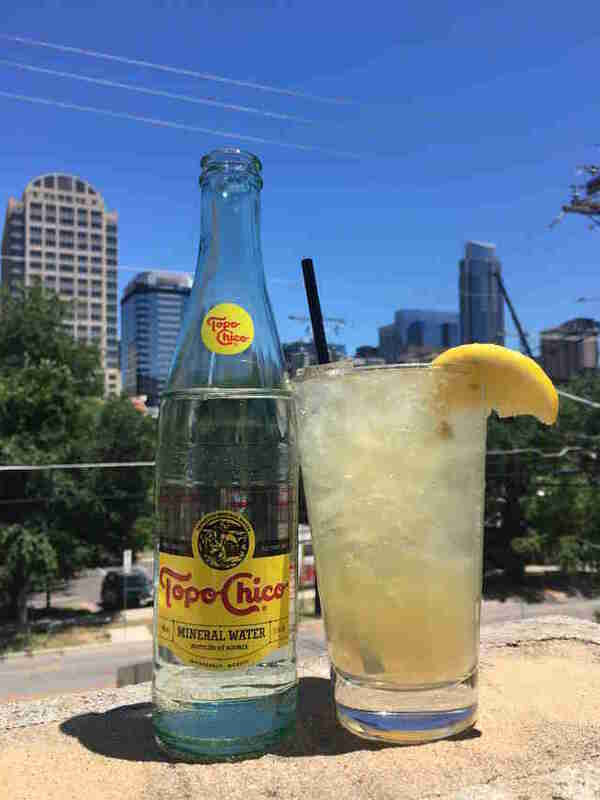 Topo Chico is the unofficial fizzy water of Austin, and while it’s great on its own, that almost painfully crisp bite can also take summer cocktails to a whole other level of carbonation and refreshment. We asked some of Austin’s best bartenders for their favorite mixed drinks incorporating this nectar of the gods, and they didn’t disappoint. Head down to these bars for some sparkling Topo cocktails, or grab the ingredients and try your hand at making them yourself. Ranch Water’s about as appropriately named as a cocktail gets, and although its origins aren’t clear, it has roots in West Texas. Mark Yawn of Ranch 616 shared the recipe for his classic interpretation of the effervescent cocktail: combine two parts golden reposado tequila, one part agave-based cordial (like Agavero), and one part fresh squeezed lime juice into a Collins glass, then add ice and top it off with Topo Chico. 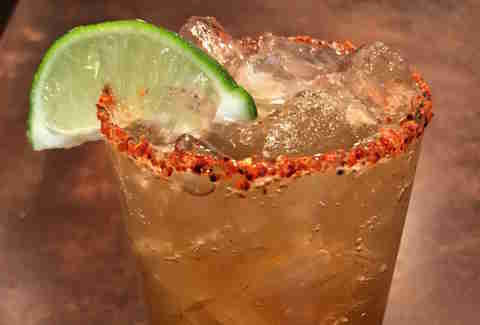 The result is magically boozy and refreshing, and you can add a spicy chili rim for even more oomph. This cocktail is so easy to make that it doesn’t even require a glass. 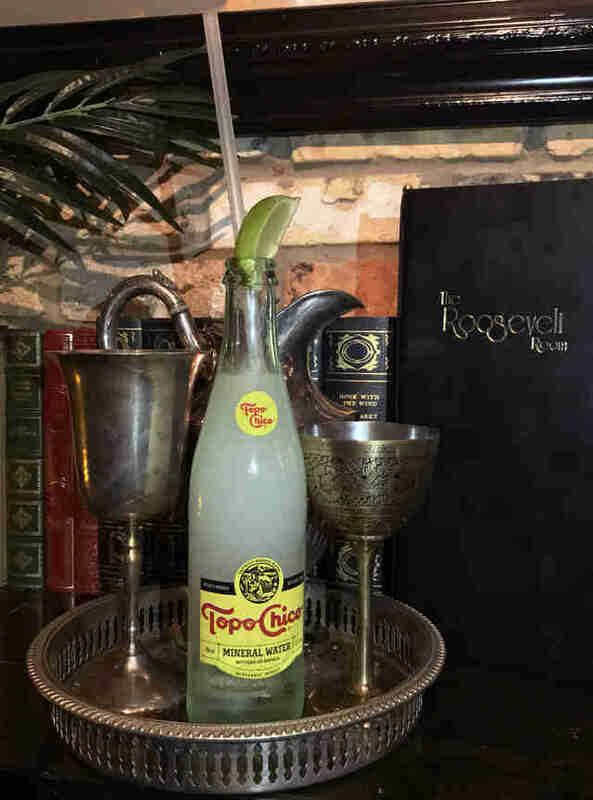 The Death Valley -- a twist on the Death in the Morning (aka Champagne with an absinthe floater) -- is made by opening a bottle of Topo Chico, taking a large sip so none of the sparkling perfection goes to waste, then pouring in 1oz Kubler absinthe and .25oz lime juice. Mix with a long straw and garnish with a lime wedge, and that’s it: a simple, refreshing, delicious cocktail with a suitably goth-y name. Mexico’s most beloved cocktail sparkles when made with Topo Chico instead of traditional club soda. 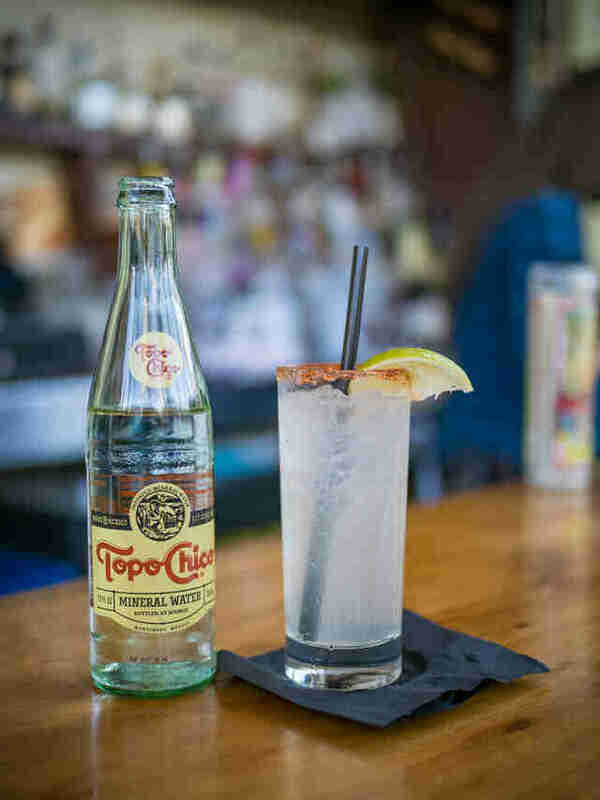 The bar team at Tex-Mex eatery El Burro creates its version by combining one part grapefruit juice with a squeeze of lime juice in a Mason jar, then stirring in two parts tequila, adding ice, and topping it off with Topo Chico and a grapefruit wedge for garnish. 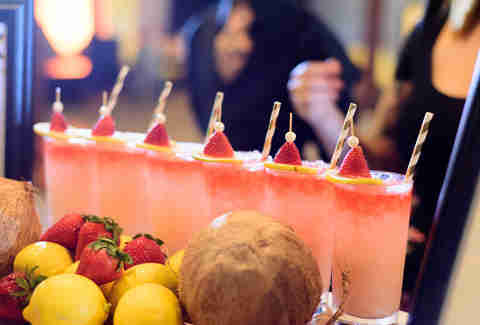 The simultaneously tart, sweet, and bitter Paloma is the ideal summer sipper. The Capital City Collins was recently named the 2017 Official Drink of Austin by the Austin Food & Wine Alliance. 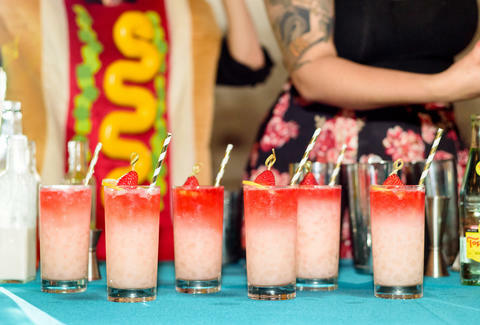 The fruit-forward, lightly creamy take on a classic Collins was created by Alexis Mijares and her bar team at quirky hot dog eatery Frank. Combine 1.5 parts Old Highbord dry gin, .75 parts of lemon juice, .75 parts strawberry-tarragon syrup, one part coconut milk, and a few drops of salt tincture to make up the body of the cocktail, then top it off with Topo Chico, Peychaud’s bitters and a strawberry/lemon wheel garnish. 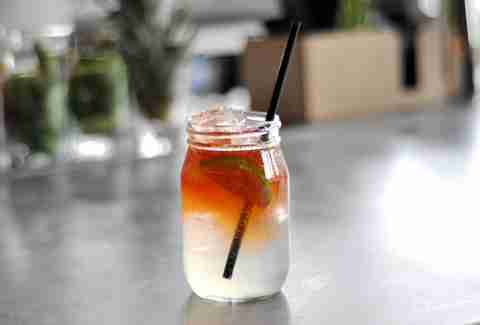 Yes, it’s a bit more complicated than a Paloma, but you don’t get to be Austin’s official drink by keeping it simple. 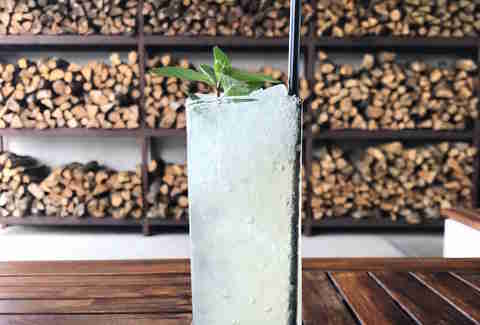 The Garden Cooler is a super-refreshing spiked lemonade accented with the weird-but-good flavor of chocolate mint leaves from the Barley Swine garden (which taste just like an Andes Mint!). Bartender Kasey Pierce takes .5 parts infused Old Highborn gin, one part Paula's Texas Lemon Liqueur, .5 parts lemon juice, and .25 parts simple syrup, shakes them all together, and pours the mixture over crushed ice. Then the glass gets filled to the rim with Topo bubbles and garnished with that chocolate mint sprig. This recipe for the Hatchback was graciously shared by Paul Neuenschwander (aka “Mr. 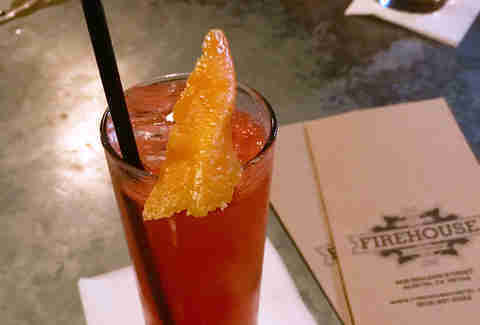 Firehouse”) of Firehouse Lounge, and it packs a sneaky punch. The paloma/Italian spritz hybrid combines 1.5 parts blanco tequila, .75 parts Campari, .5 parts fresh lime juice, .5 parts fresh grapefruit juice, and .5 parts simple syrup in an ice-filled Collins glass. It’s then made all the more refreshing by being filled out with Firehouse’s go-to for fizzy soda, aka Topo Chico. Add an orange twist to impress your friends, or forsake appearances and just taste the fruits of your labor. Made with 1.5 parts Toki Japanese whisky, .75 parts green tea honey, .5 parts lemon juice, and a splash Topo Chico, the Toki Doki has a sweet earthiness that makes it truly refreshing. Caer Ferguson and her bar team at Péché blend local honey with green tea to support the light oak of Toki Japanese whisky, giving the cocktail a soft sweetness. 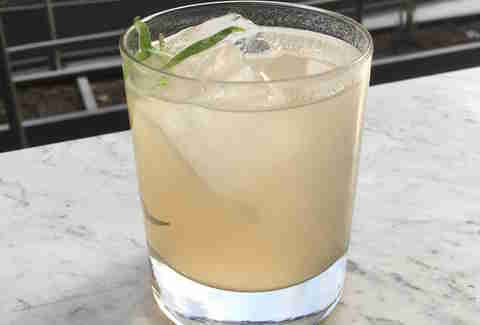 Lemon and bubbly Topo Chico are added to brighten the drink, and the mint garnish brings a freshness to the aromatics. In Japanese, “tokidoki” means “sometimes,” but don’t be surprised if you find yourself making it Suntory time all the time. According to Savannah Demy of Rattle Inn, the Snake Oil was created to compliment the Ranch Water at sister establishment Ranch 616. The Snake Oil is a new take on a similar classic (the Lynchburg Lemonade), with the rye bringing a little spice to the mix and proving that whiskey can be just as refreshing as a clear spirit on a hot day. Make it for yourself with 1.5 parts Old Overholt Rye whiskey, .5 parts Cointreau, .5 parts lemon, and .5 parts simple syrup, and topped (of course) with a Topo Chico. El Naranjo’s Brass Knuckle is meant for sipping on its patio while you destroy some chips and salsa -- of course, if you’ve got a patio of your own, that’ll work just as well. Thomas Hallum gave up the recipe for the modified margarita: 1.5 parts silver tequila, .5 parts each of lime juice, simple syrup, and Topo Chico, plus a Negra Modelo float that adds a caramel color and bit of maltiness. VOX Table’s Madelyn Kay has come up with a wildly creative cocktail teeming with smoky, herbal, and melon flavors. It begins with 1 part Altos Plata tequila that is fat-washed with fresh burrata (similar to mozzarella), .5 parts El Silencio mezcal, .75 parts cantaloupe tarragon syrup, .5 fresh lemon juice, and .25 fresh grapefruit, which then gets topped off with Topo Chico and garnished with a sprig of fresh tarragon. The burrata-washed tequila adds a silky mouthfeel, and the Topo adds brightness to this very interesting cocktail -- but if you’re not into the whole fat-washing thing, you’ll probably be fine with regular tequila, too. Anastacia Uriegas is a food and cocktail writer who enjoys sabering ice cold bottles of Topo Chico at parties. Follow all of her sword-wielding hobbies at @anaurie.